AMSOIL Synthetic Motorcycle Oils are engineered to withstand the devastating effects of extreme heat. It features high-temperature film strength for maximum wear protection and delivers excellent wet-clutch performance and transmission protection. 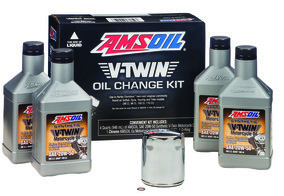 AMSOIL Synthetic Motorcycle Oil helps keep your bike operating at it's best for the long-haul.